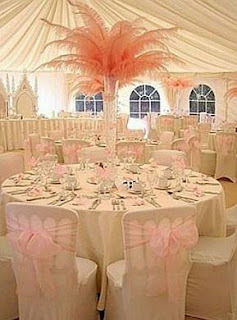 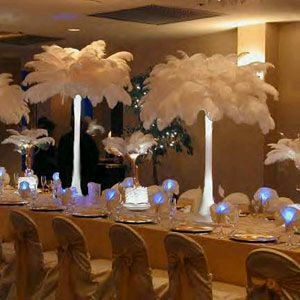 When it comes to decorating the wedding, it has become very fashionable look that these arrangements are becoming more and more original, we must remember that an important part of the decoration of a wedding are the centerpieces, these have carried the eyes of all the guests and it is impossible to ignore them because they are sitting around them while on the table. 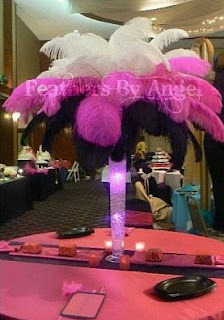 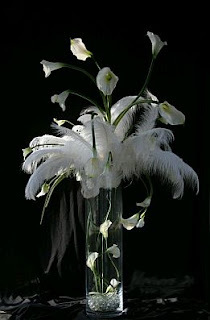 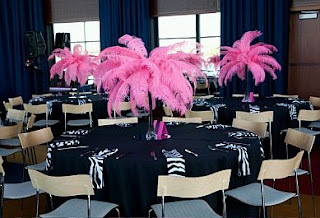 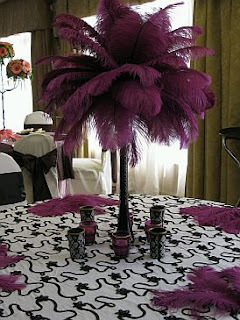 Here are some nice suggestions for centerpieces and floral arrangements with feathers. When we use arrangements or centerpieces with feathers, these tend to be a perfect addition to the decor of the wedding, usually used ostrich feathers, and, by its size, its volume and its fall, they often look quite romantic and dramatic The other big advantage is that they can be dyed the color you need, so there is no problem that their color does not match the decor of marriage. 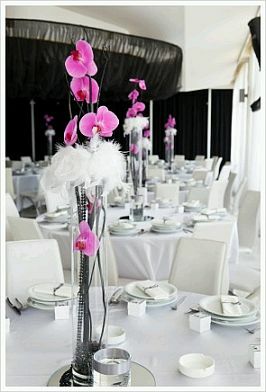 Similarly, much of its length as vases or containers which are placed, allow for a fairly high and under high volume. 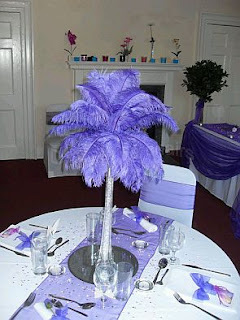 Here are some pictures that can help you decide on your own. 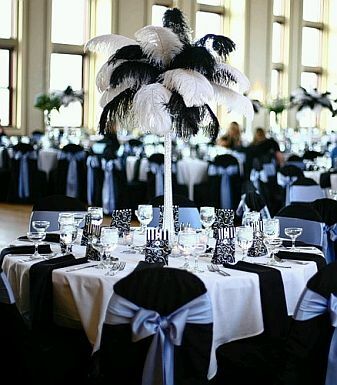 However, if you prefer a combination of flowers and feathers, the results are often equally or more amazing that you just saw, remember that an accessory branches are also widely used in this type of centerpieces, so you have an idea of what I say, here are some beautiful examples. 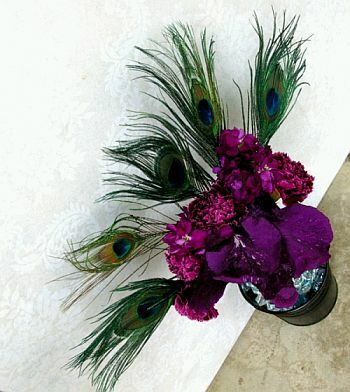 In the latter arrangement are used feathers ostrich, peacock, but the result is equal or better.